To say that I'm obsessed with Korean beauty products is an understatement. I've been loving sheet masks lately. 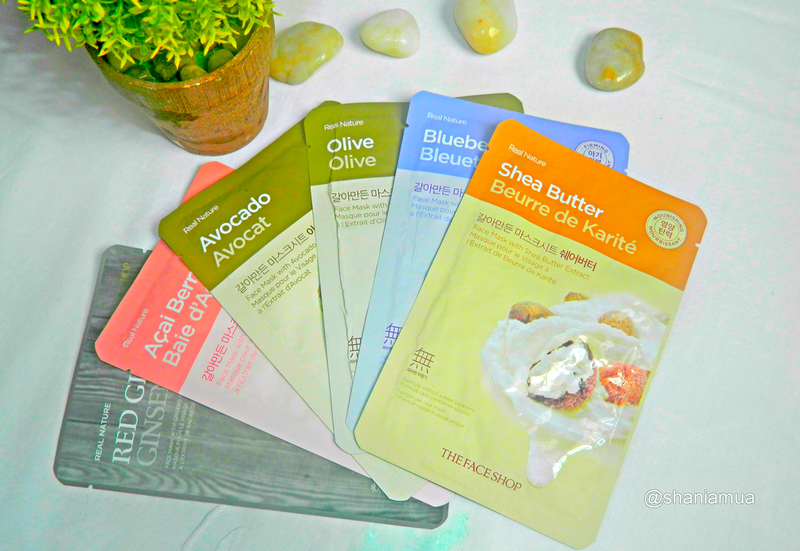 Sheet masks are fast, convenient, very easy to use and don't need to be washed afterwards! 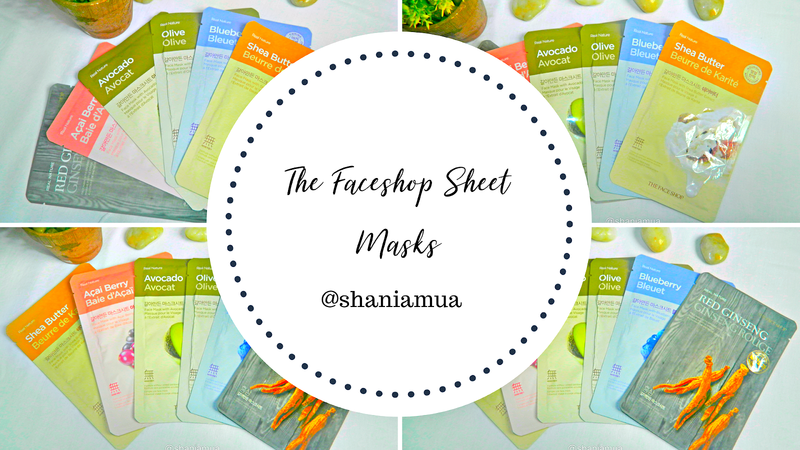 Today, I'll be reviewing my favourite The Faceshop Sheet Masks. The Face Shop is a Korean brand. It is a beauty destination offering a wide range of affordable high quality products. The brand's philosophy is to merge science and the perfection of nature ("Science Meets Beauty") to deliver the best products for your skin. I'm hands down a sheet mask person and prefer them over clay masks. It's like a mini spa-like experience.The whole process of applying the mask and leaving it on the skin is quite relaxing. So, when I discovered The Faceshop Sheet Masks, I went a bit crazy and literally bought I think over 15!!! I did buy these way back in January and totally forgot to take pictures. I was also really busy studying for my important exams (I've got a final ginormous one in October!). I'm obsessed with these masks and can't wait to restock as I've got only one left! Packaging: The packaging is very colourful, high quality and includes all the directions and ingredients on the back. 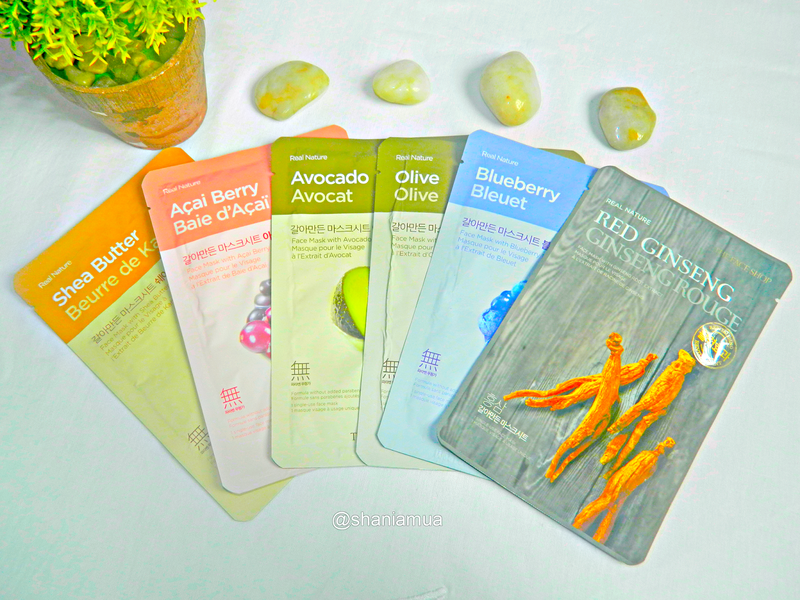 These sheet masks have a pleasant scent and are well saturated with the serum. 3) After 10-20 minutes, remove the sheet and pat gently to promote the absorption of the remaining essence. Tip🌟: What I like to do is applying the remaining essence (quite a lot) from the packet on to my neck and hands. Sheet masks must not be kept on the face for more than the required time as moisture is sucked back in (from your skin and into the mask,again). 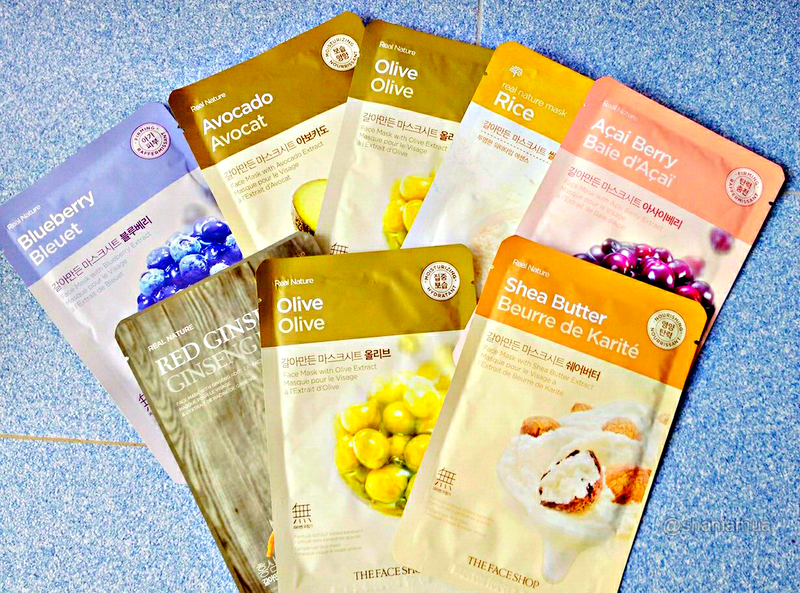 After using these sheet masks, I noticed that my skin had started to clear up. 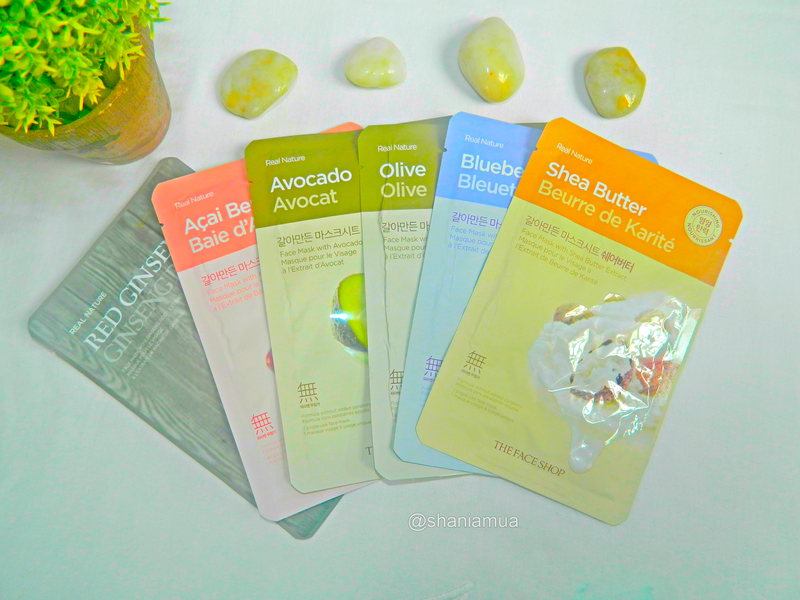 These masks do help in instantly brightening up, calming your skin and evening out your skin tone.They can be referred to as a "Quick Fix".They're light and leave my skin feeling fresh unlike some other sheet masks which leave my skin feeling coated in a sticky residue. I suffer a lot of with redness and these really helped. I actually thought they would do the total opposite! I've been using these masks for about 6 months and whenever I use them, I notice that my skin stays clear, healthy and "glowy". I will be starting a new series on my blog called something along the lines of "K-Beauty". I'll be basically buying loads of Korean beauty products from different brands and review/compare them. I really hope you enjoyed reading this post. I really want to try sheet masks from other brands. Please leave your suggestions down below!